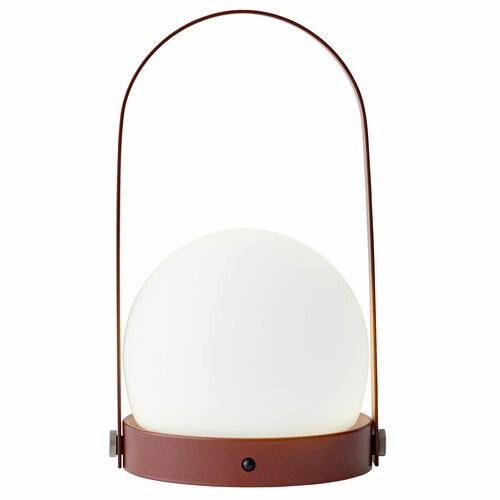 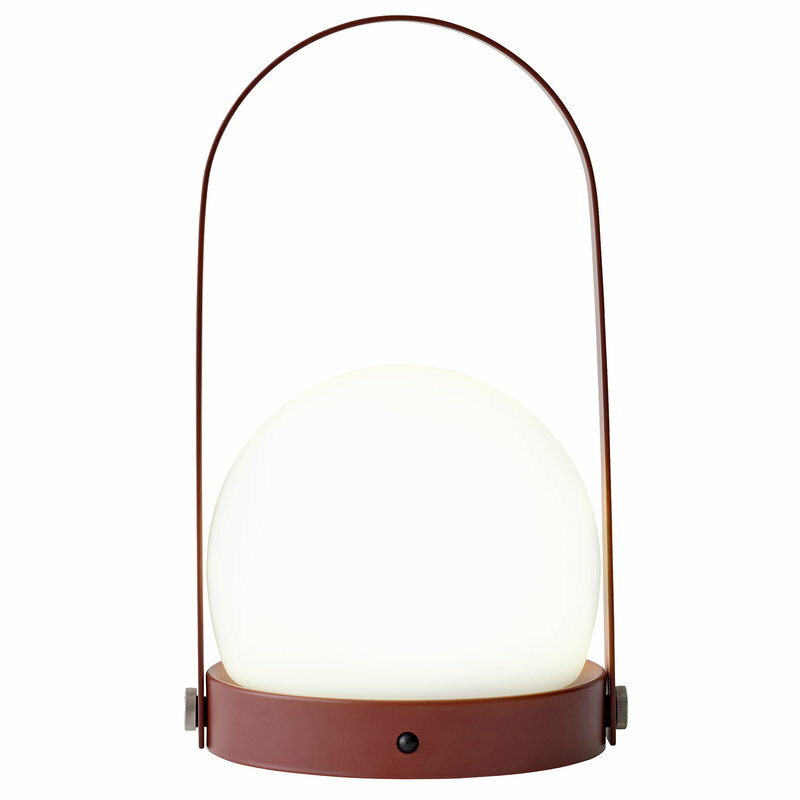 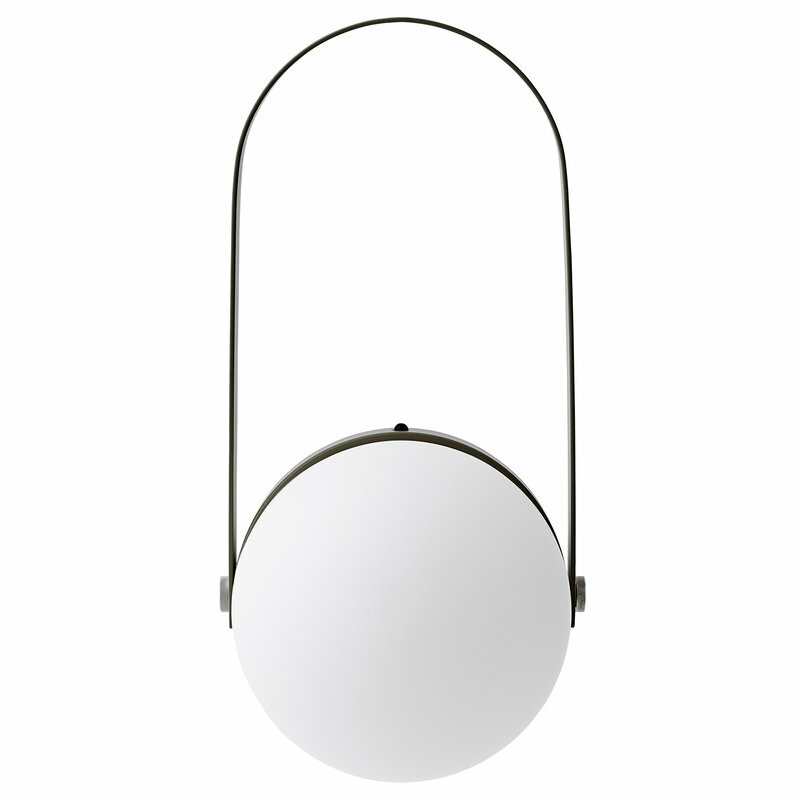 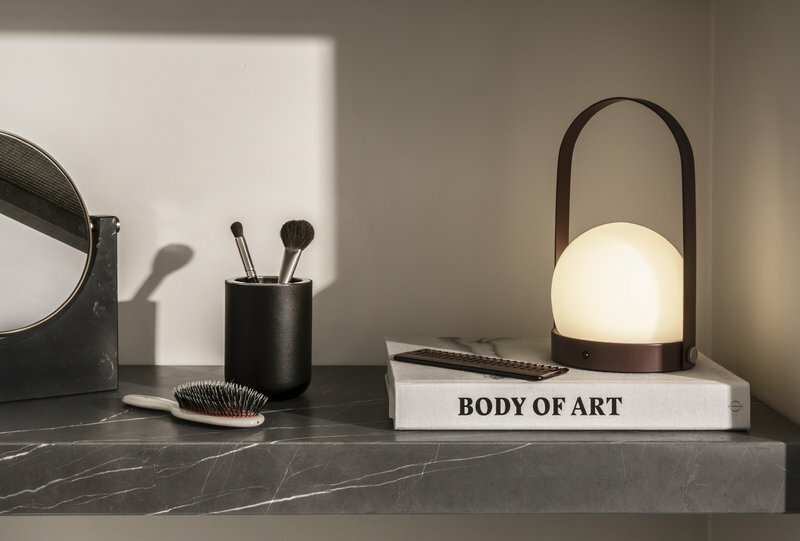 Menu’s Carrie table lamp comprises a white opal glass dome, a round steel base and a removable, arched handle. 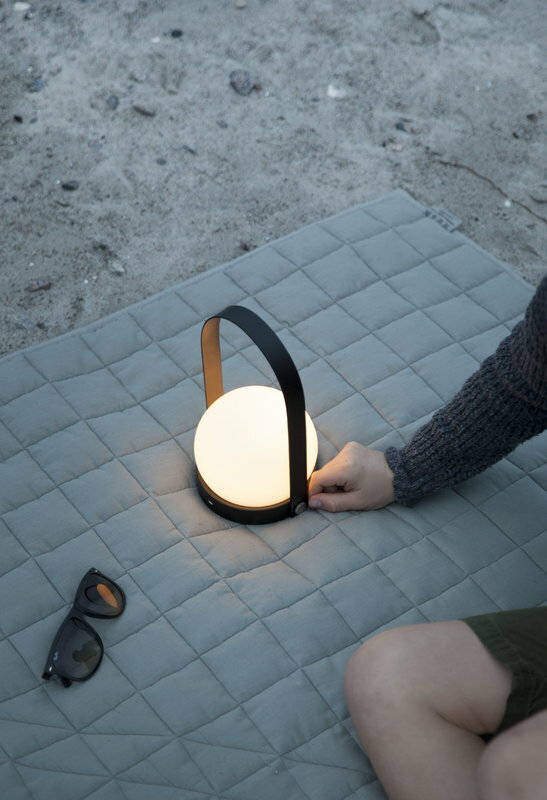 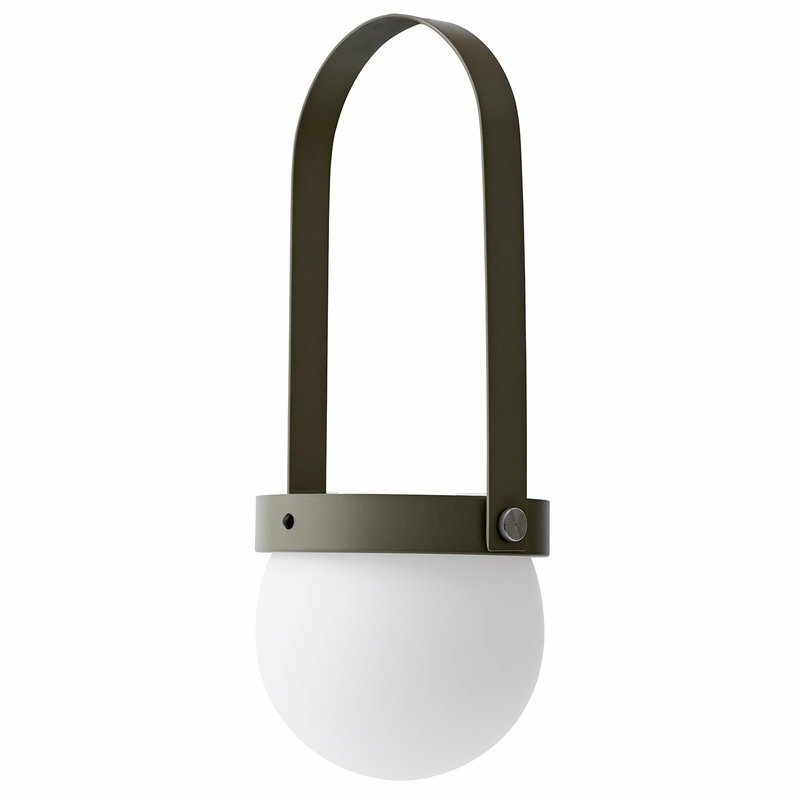 Designed by Norm Architects, Carrie is not only beautiful but also highly functional: thanks to the rechargeable LED unit, it can be used as a bedside lamp as well as a portable source of illumination for summer houses, picnics, and evening walks on the beach. 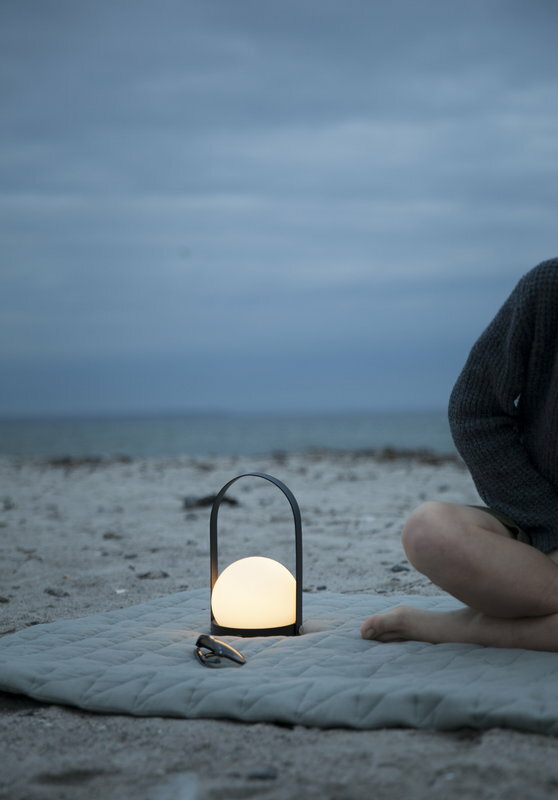 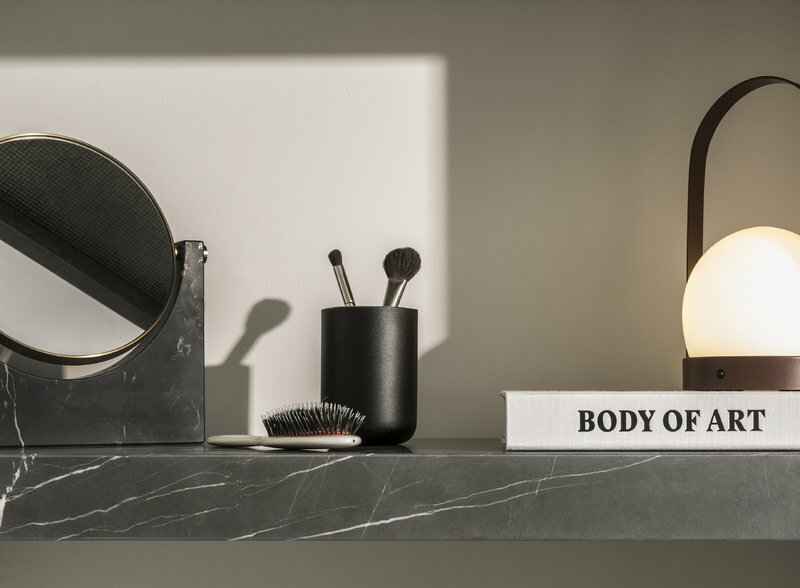 The dimmable, lantern-like lamp is perfect for creating a cosy atmosphere, also known as hygge in Denmark. 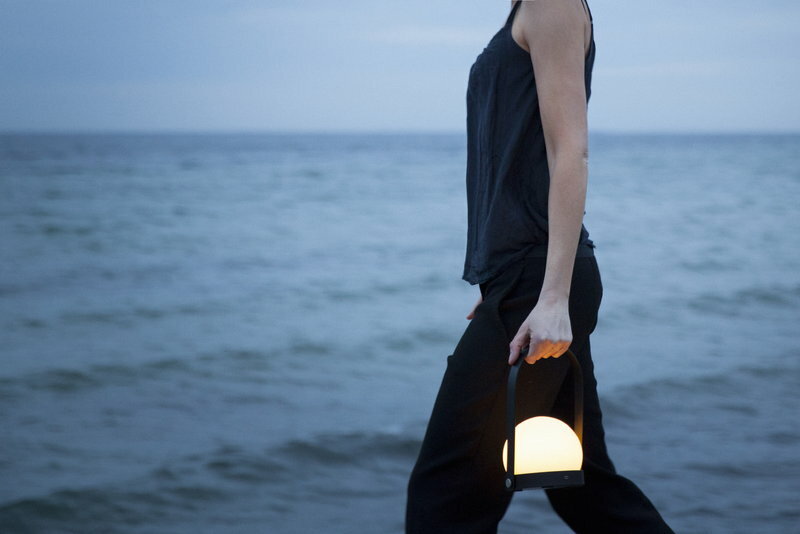 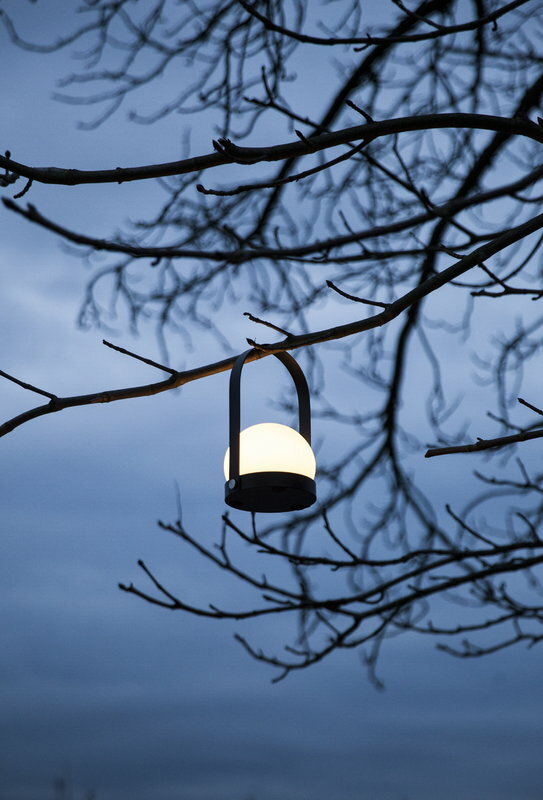 The lamp can also be used outdoors in dry conditions. 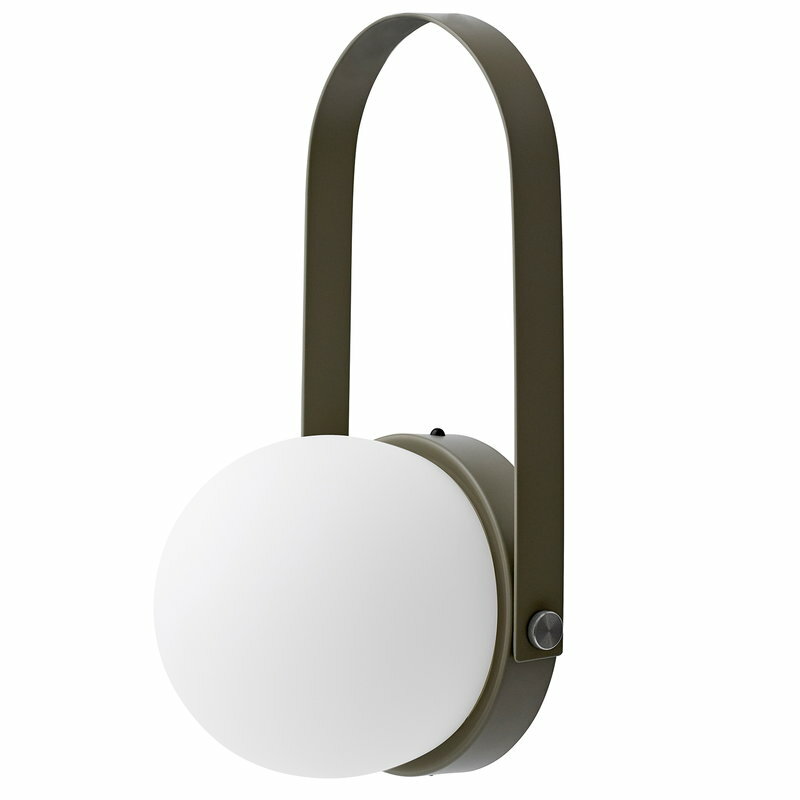 USB micro cable (50 cm) and EU plug included. 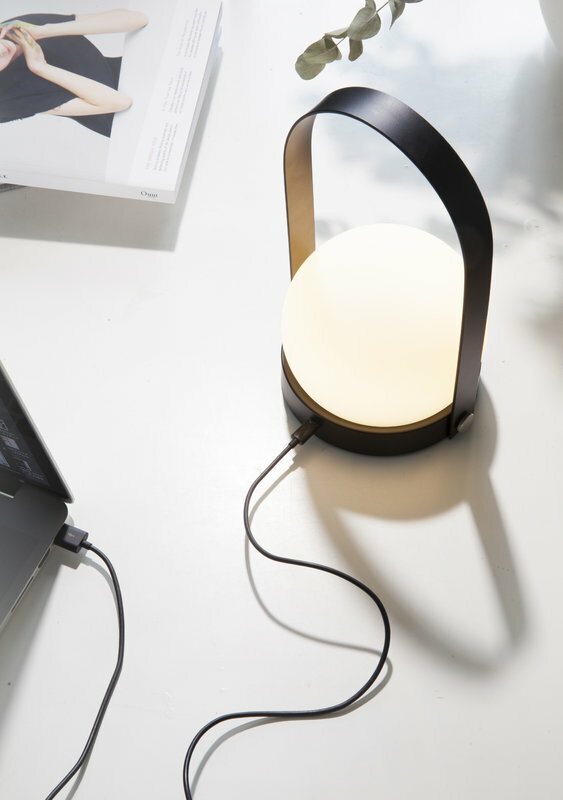 Usage time 5 hours when fully charged.